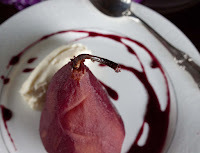 Fat and Happy Food Blog Tips and Techniques: This spiced pears can be made the day before and served at room temperature. But I highly suggest reducing the syrup to a thick glaze before serving. Beside the mind blowing taste, it adds to the allure of the presentation. Bring the wine, port, orange zest, cinnamon stick, cloves and thyme to a boil. Peel the pears in the meantime. Add the pears to the wine sauce, cover and reduce to a simmer. Remove from heat after 20 minutes. 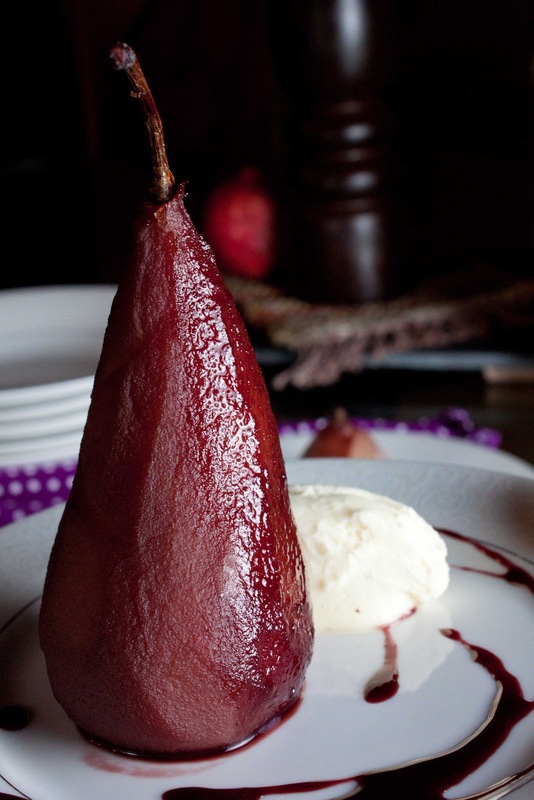 While the pears are simmering, mix together the mascarpone, cream, powder sugar and ground cardamom. Keep refrigerated until ready to use. If you are pre-making a day before using, leave the pears in the sauce, cool and store in the fridge. 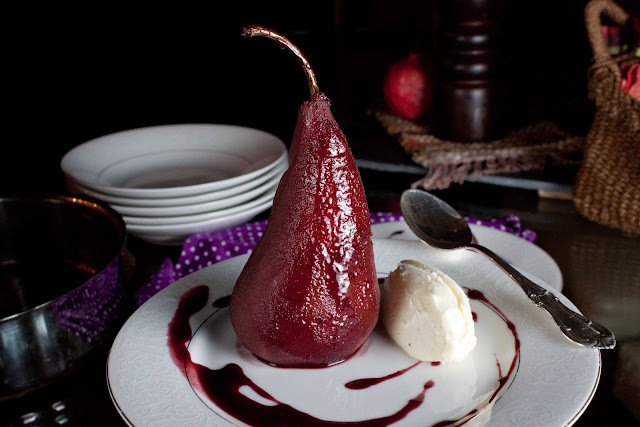 Then remove the pears and reduce the sauce before serving. 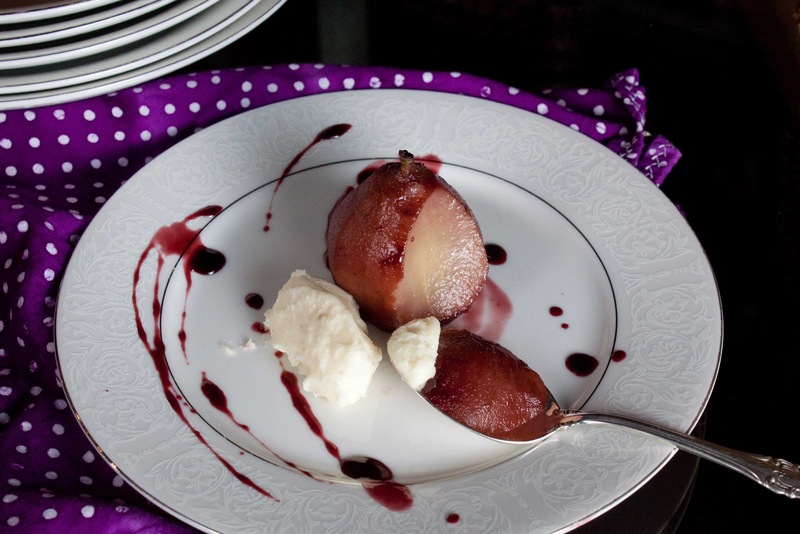 Place one pear and a good dollop of the mascarpone onto each place. Drizzle with the reduced sauce. Enjoy.